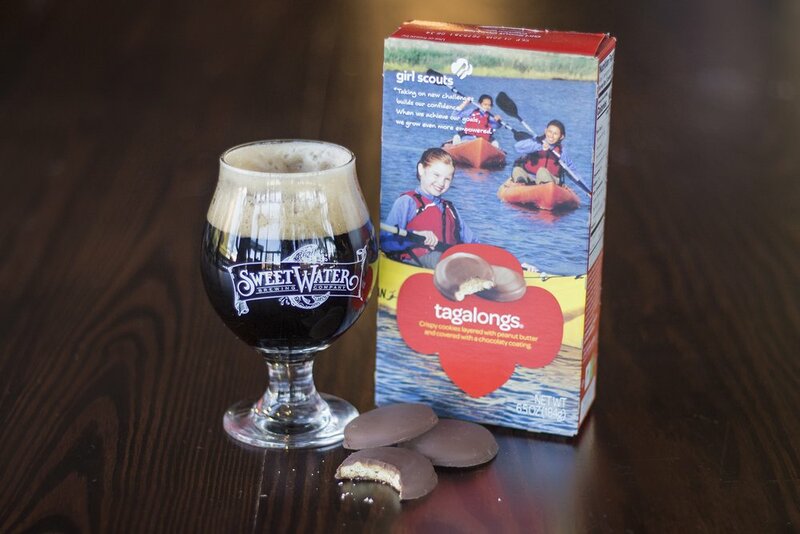 On Wednesday, we’re bringing all the Girl Scout cookies and beer pairings to you here in our taproom. Check it out below to see the pairings we’ve come up with this year. Shimmy on down this post to get more information on tickets and what’s included. 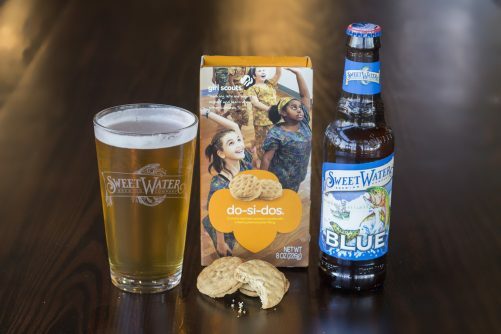 This pairing of our Blue Wheat Ale with Blueberries, and Do-Si-Dos is the adult PB&J you’ve didn’t know you needed. 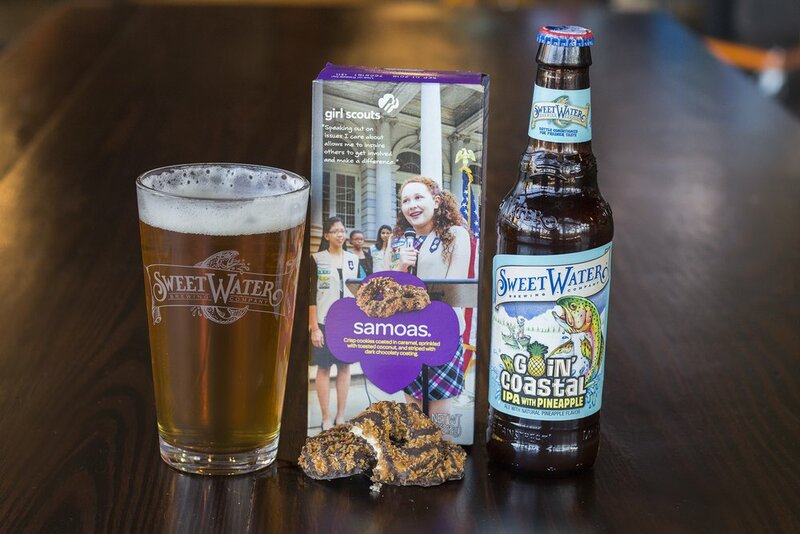 The peanut butter flavors in the cookies bring out the lip-smacking blueberry in this beer, summoning summer days playing in your backyard with a delicious sandwich from your childhood. Another riff on a PB&J, our raspberry imperial stout pairs perfectly with these chocolate dunked, peanut butter filled cookies. We’re living for this warmer weather and can’t wait for summer to roll around. In the meantime, this duo is everything you’ve ever wanted in a tropical tango of flavors in your mouth. The combination of pineapple from Goin’ Coastal with the coconut from Samoas reminds us of a Pina Colada. Get sprung with this citrus duo. 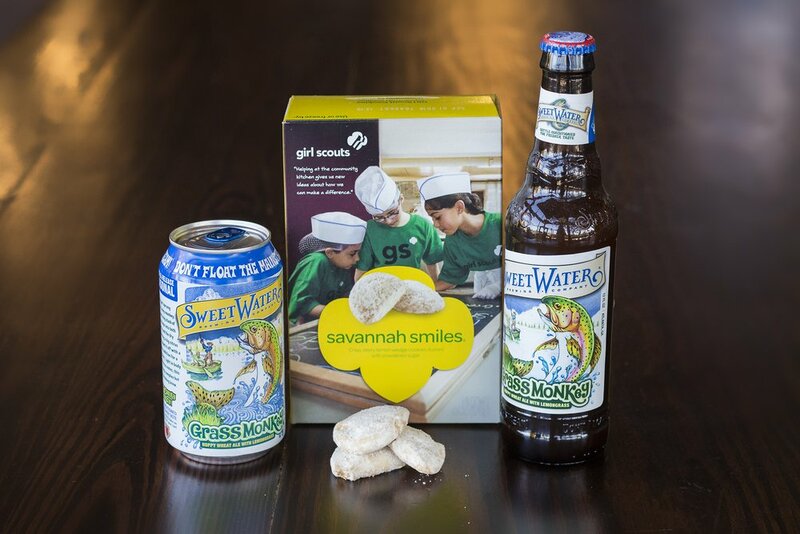 Our Catch & Release Seasonal, Grass Monkey wheat ale with lemongrass, pairs like a dream with Savannah Smiles. The lemongrass in Grass Monkey brings out all of the lemony goodness of these yummy cookies. Talk about a mouthful. 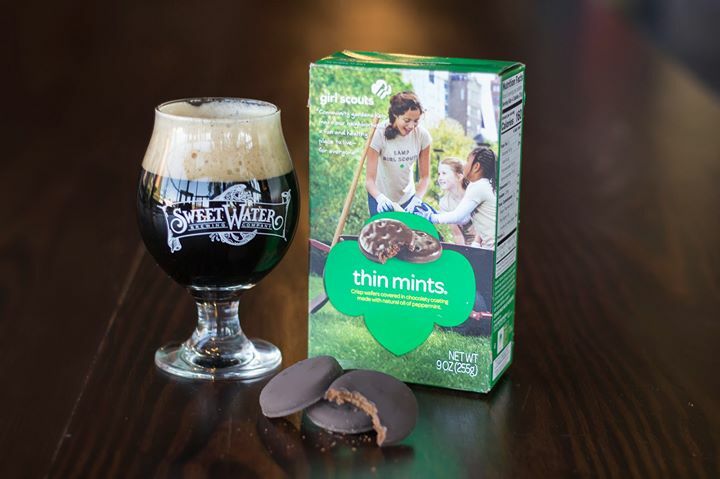 We’ve made a special cask just for our event on Wednesday – it’s our bomb Chocolate Milk Stout spiked with Thin Mint cookies. You can only try this puppy here at the taproom at our pairing event. 10/10 recommend dunking Thin Mints in this stout. For our final pairing, we created this magic. 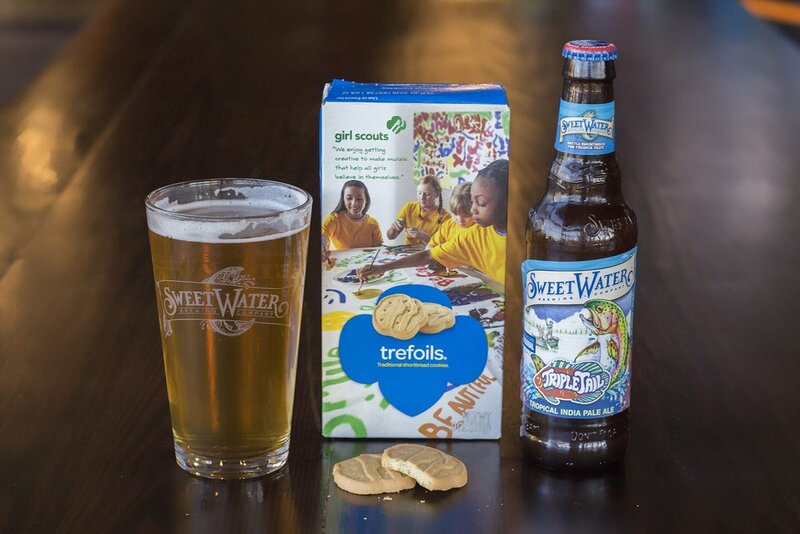 The buttery goodness of Trefoils enhances the tropical flavors of our newest core beer, TripleTail. Mild enough to let this beer shine, this duo melds fresh, fruity, and buttery; kind of like when you get off of the water after a long day of fishing and you crack open a cold one and reap the day’s success… ya feel? The tasting goes down in our taproom on Wednesday, February 21st from 5-8pm. You don’t need tickets to get in, but you will need tickets to get your tasting on. We will be open from 4:20-9pm on Wednesday. Want to add this event to your iCal? Click here. What about your Google cal? Click here.